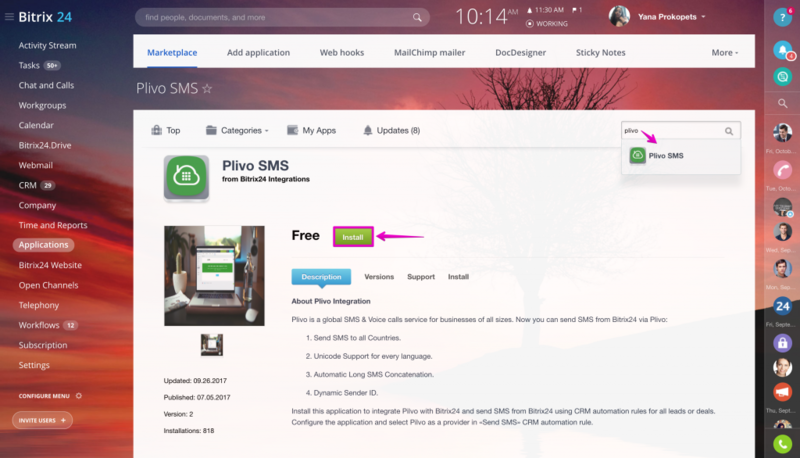 SMS messaging via Plivo is available inside Bitrix24. 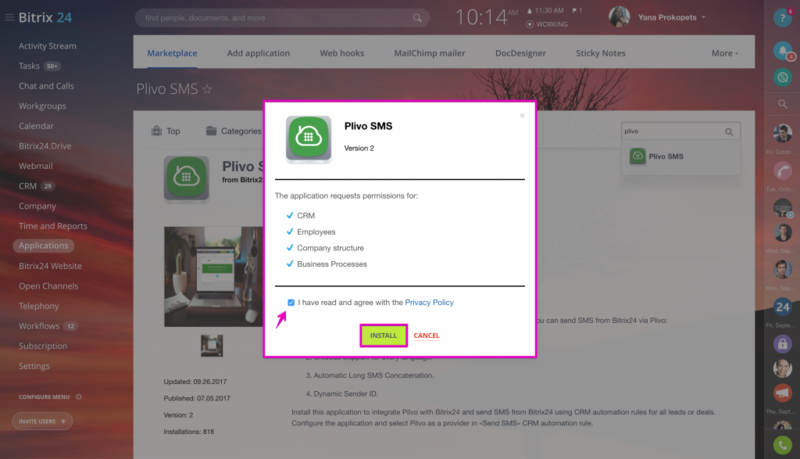 We have added Plivo app to Bitrix24 marketplace, which means you can now send text messages via Bitrix24 automation rules. The app is entirely free, but you’ll need to register a Plivo account and will be paying for bulk messaging directly to Plivo according to set rates. 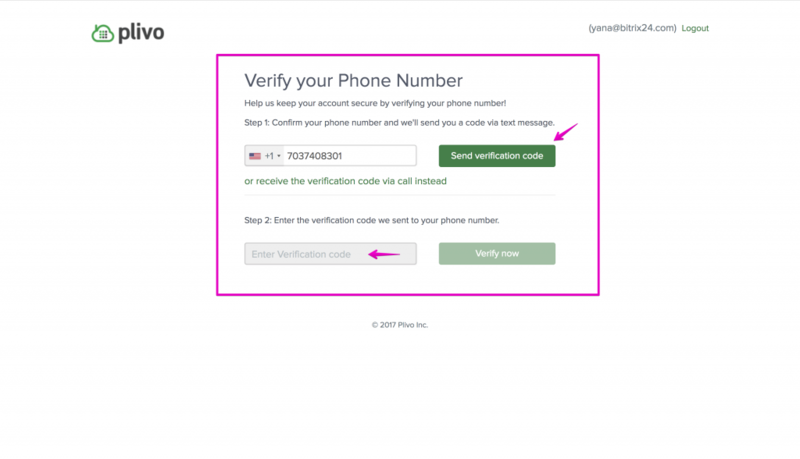 After successful phone number verification you can go inside your new Plivo Account! Please note that after registration you may use Plivo Free Trial that may have several limitations in comparison with commercial plans. 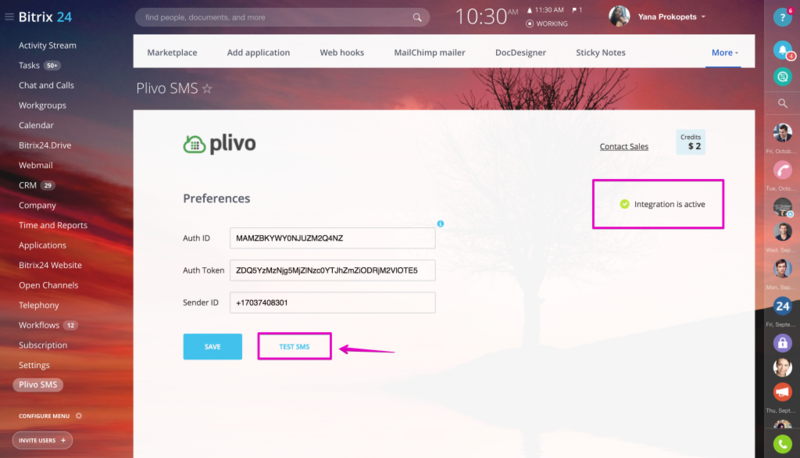 Add your Plivo Auth-token, AuthID and SenderID or outbound phone number to send SMS. 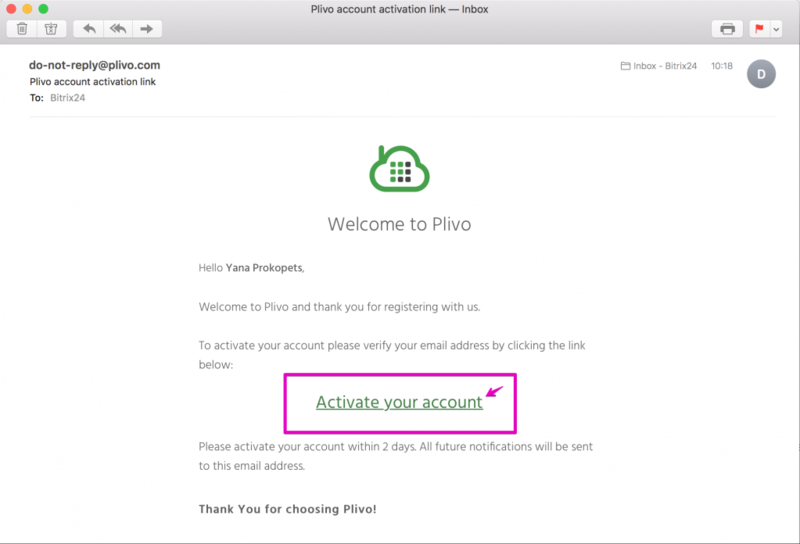 Obtain token and IDs from your Plivo account settings. When successful, you'll see Integration In Active status on the right. Send a Test Sms for verification. 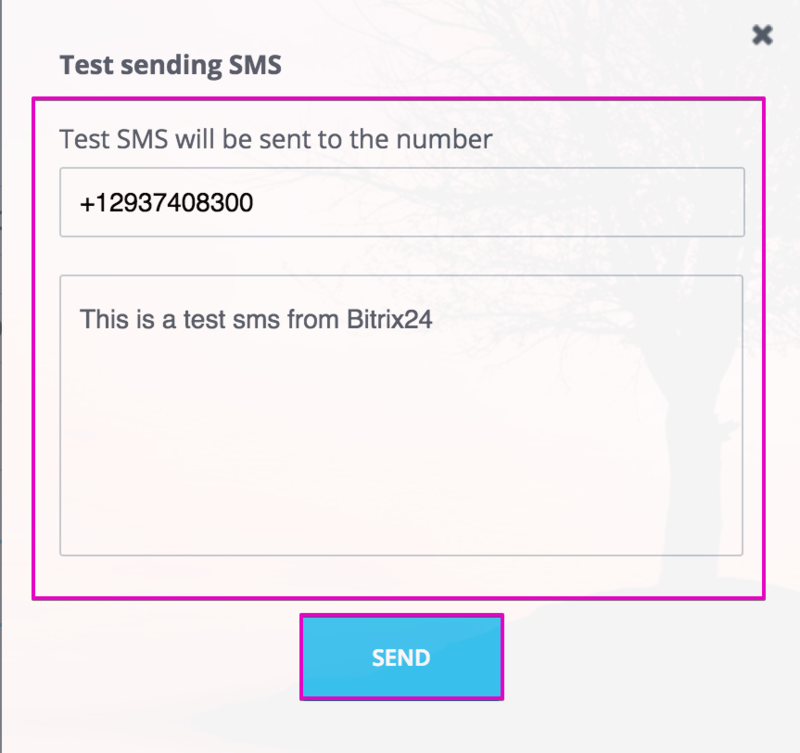 Specify the phone number to send a test SMS to. 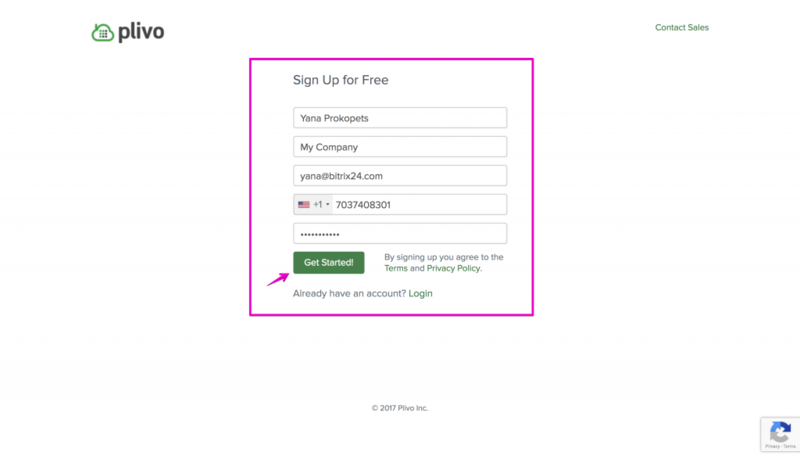 Leave the default message or enter your own (up to 120 characters). 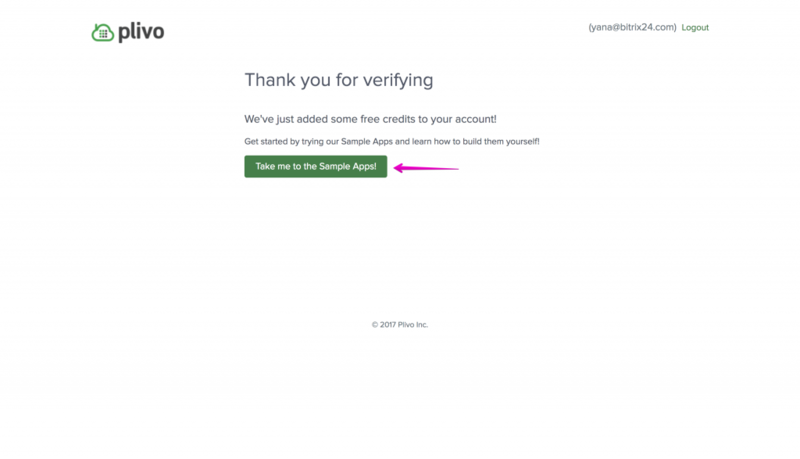 In case you use Plivo Free Trial then the system will ask you to verify destination number. Please go to https://manage.plivo.com/sandbox-numbers/ to verify it. 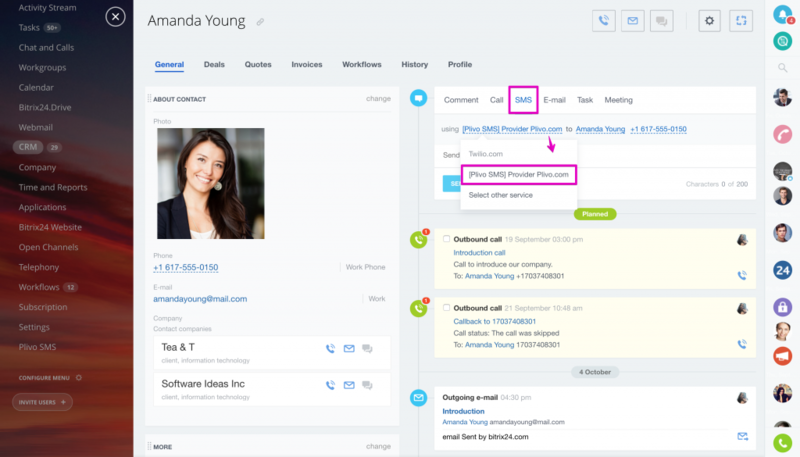 Plivo integration can be found in CRM. 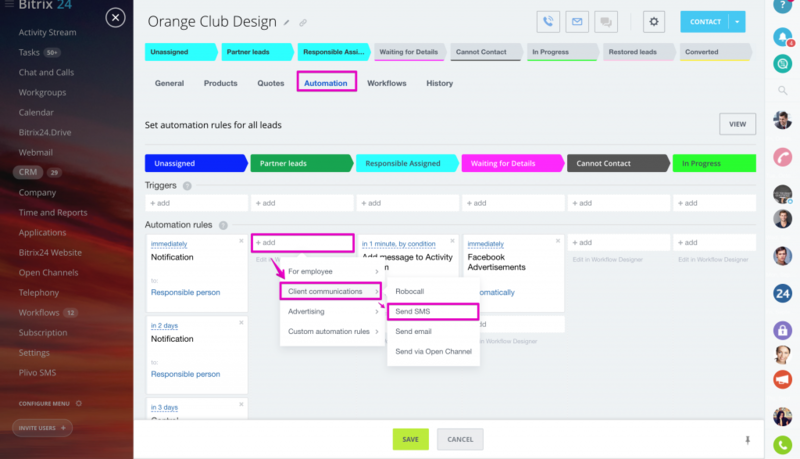 Open lead, contact, company or deal & go to SMS activity. Here you can send an sms via selected provider (Twilio integration is also available). 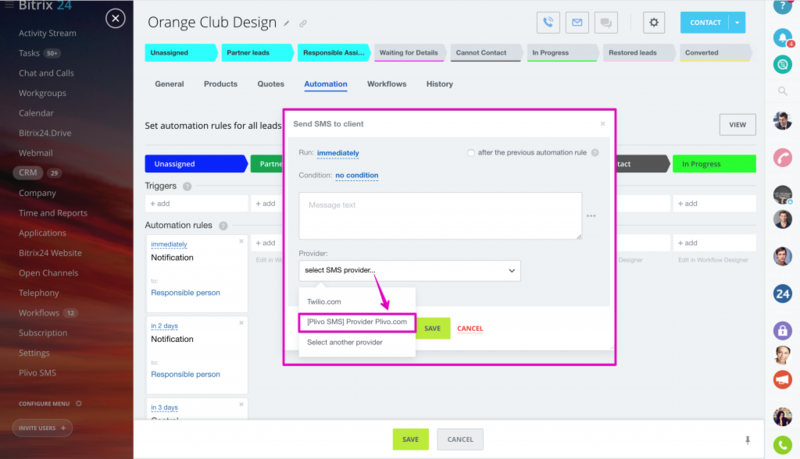 Please note that to be able to use SMS blasting (available inside Bitrix24 marketing automation rules), you need to have Bitrix24 commercial plan subscription. All questions regarding Plivo for Bitrix24 app work can be sent to Bitrix24 Helpdesk. 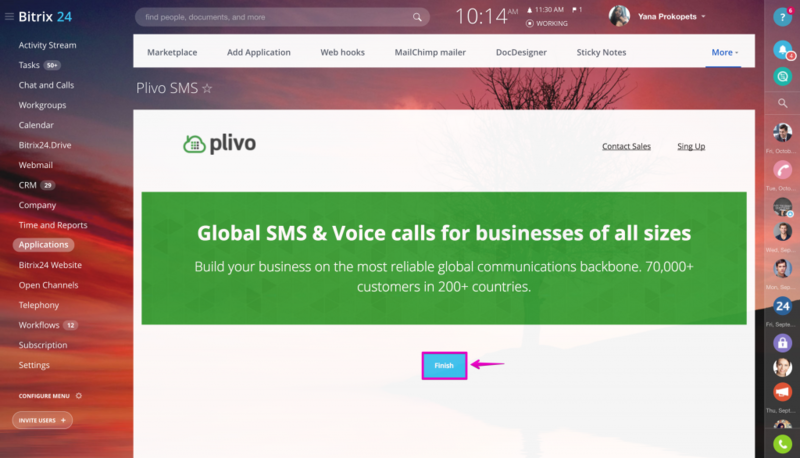 In case you have any questions connected with Plivo service, please contact Plivo support.